In ground form, we smell rich sweetness like roasted carrots. At break this broadens into juicy grape with baking spices and malts. Smooth and full in body, it's pretty juicy with just a hint of dryness. The acidity is high in quality with delicate pear and tones of orange. The sweetness comes in with caramel and malty chocolate. The balancing bitterness is overall quite low, but what is there reminds us of soothing mulled wine. It lingers long with a soft tannic glow, finishing clean and pleasantly. The opening notes of aroma come through as nutty and tropical sweet. The initial sips show a body that is not only creamy and full, but fairly juicy. The high quality of the acidity is the first thing we notice, as tangy citrus comes forth in intensity. As the brightness fades a little we taste heavy and rich sweetness, much like a dark caramel. Complex in its lowest flavors we detect some herbaceous earthtones. The finish is long, fading towards baker's chocolate and dry spices. We found the experience of this coffee to be: Juicy - Sweet - Earthy. Categories: Coffee Ratings. Origins: Blend. Flavors: Brown Sugar, Caramel, Carrot, Delicate, Full, Grape, Long Linger, Malt, Milk Chocolate, Mulled Wine, Pear, Pleasant, Round, Smooth, and Tannins. Brew Descriptors: Earthy, Juicy, and Sweet. 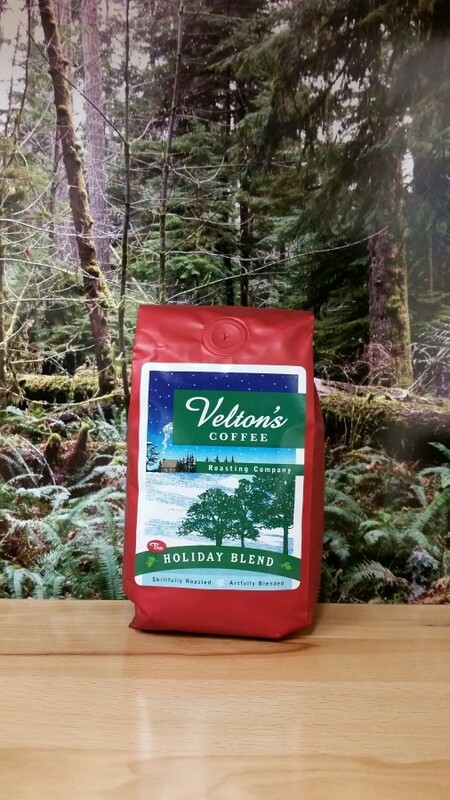 Roasters: Velton's Coffee Roasting Company.